NOW ON SALE at Capps! 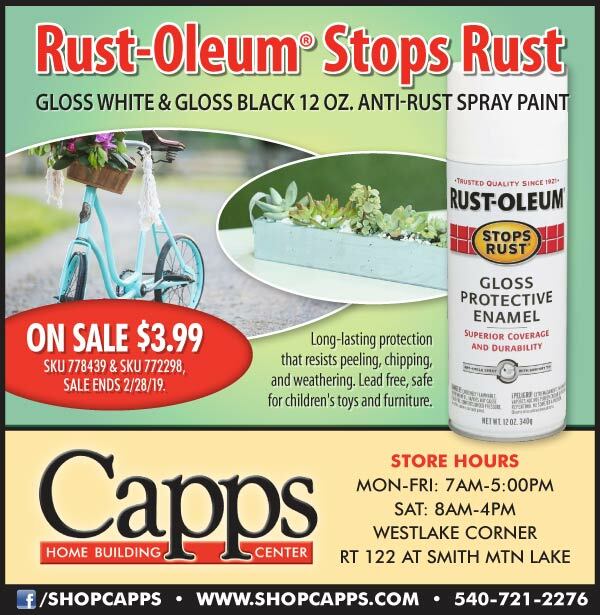 Get long-lasting protection that resists peeling, chipping and weathering with Rust-Oleum Stops Rust spray paint. Gloss White and Gloss Black 12oz. cans are on sale now for $3.99. This gloss protective enamel provides superior coverage and durability and is also lead free and safe for children’s toys and furniture. Sale ends 2/28/19.